Think. Eat. 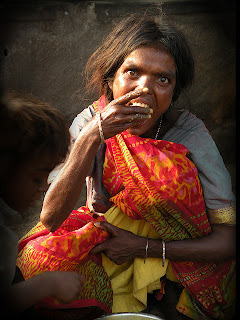 Save is an anti-food waste and food loss campaign that encourages you to reduce your foodprint and is the theme for 2013. 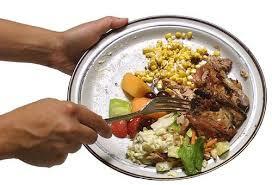 According to the UN Food and Agriculture Organization (FAO), 1.3 billion tonnes of food is wasted every year. This is also the amount produced in the whole of sub-Saharan Africa. 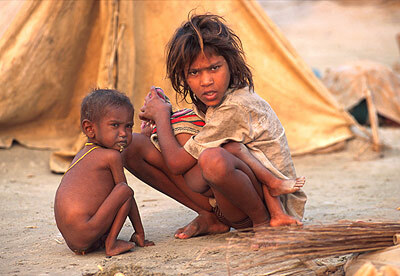 One in every seven people in the world go to bed hungry and more than 20,000 children under the age of 5 die daily from hunger. Yes, these are grim statistics, but we all can do something about it -- starting from our dinner plates. Also, stay awake to nature and your surroundings, to yourself and others and you will know what to do. Did you know it takes nearly 1,000 litres of water to product just one litre of milk? As much as 16,000 liters goes into a cow's food to make a hamburger -- that we sometimes throw half-eaten. So what are the simple things one can do to make it a better place to live in? Stop wastage of food: Food waste consumes resources, energy and time, harms the environment, increases greenhouse gases and disrupts balance of food resources leading to poverty, malnutrition and hunger. Thus, every time we waste food on our plate and throw it into the waste-bin, we are adding to hunger, poverty and climate change. Though food is biodegradable, rotting food releases methane gas. Methane along with CO2 is a major cause of damage to ozone layer and global warming. By adopting surplus food recycling techniques or cooking less we can help in this years promise. Souring the food: Opt for food products that are locally grown and locally sourced, rather than those that are shipped from thousands of miles away. Doing this, you are not only helping the local farming community, but are also discouraging the transport of food products, which lead to tonnes of carbon emissions. Go chemical-free: Eating organic and locally-grown from small farmers means you are eating healthy food that is free of chemicals that can play havoc with the human body. Not just that, going chemical-free where food is concerned also means lesser water is used and the soil and groundwater are not precipitated with harmful chemicals.